Many individuals need sessions catered specifically to their particular needs. 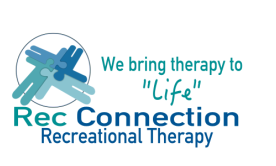 Our Recreational Therapists can put together a plan that works best for you or your loved one. Making your time and surroundings work efficiently for you is our goal. Through the use of Yoga poses and controlled breathing exercises, this session will help you strengthen your core, improve balance, and increase flexibility. Specialized breathing exercises and relaxation techniques will improve concentration and help reduce stress. strokes, suffering from insomnia, hypertension, anxiety or simply have too much stress in their lives. 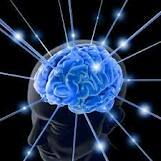 Cognitive re-training sessions go through a series of games and activities all created to help you re-train your brain. Done in groups or one on one these sessions are targeted to meet your interests and can be for people of any age. There is nothing better than being stretched out in a pool for a mommy-to-be. These great exercises and movements will take a load off your back and ankles as well as relax your whole body. Dive in and get ready to enjoy. No swimming skills required. motor skills, sensory stimulation, as well as social remotivation. This is the perfect tool for those with Alzheimer's and Dementia. Every joint gets movement and every muscle gets worked. An aquatic movement session will keep you limber without the interference of gravity, it allows for motor planning to develop, and assists in strengthening of the legs using the resistance of the water but without the pain of weight bearing that would have been an added challenge on land. Great for arthritis, recovering stroke patients, spinal cord injuries, and traumatic brain injuries. offers a brake on the speedy highway of life. It allows you to connect with yourself again while lowering hypertension, strengthening muscles, controlling breathing and relaxing your mind. It's especially beneficial for individuals who can't stand or require help with balance. Need help improving your leisure lifestyle or leisure program? We have worked with a multitude of children's centers, nursing homes, adult day cares, and rehabilitation centers to create successful leisure enhancing programs. We can provide you with the help you need to get your leisure or activity program working efficiently. Free evaluations. We train and certify your staff to become Recreational Therapy Aides, so they can efficiently implement Recreational Therapy sessions in your facility.